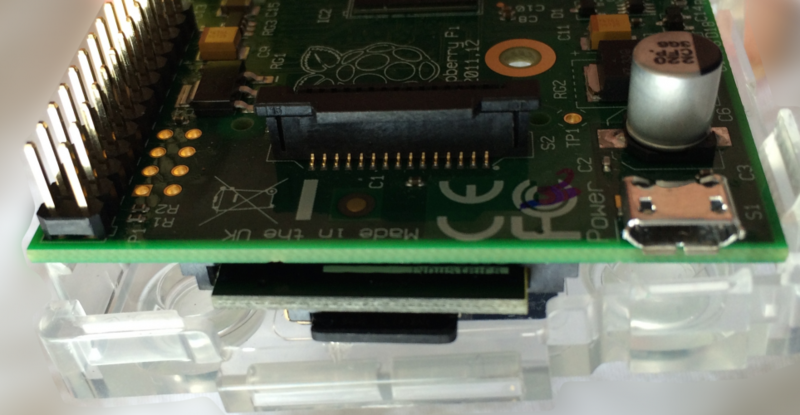 Review: Adafruit’s Low-profile microSD card adapter for Raspberry Pi. I always come back from from a Raspberry Jamboree with more geek stuff and trinkets , let’s face it it would be rude not to. The latest CamJam was no exception, and I will actually review some of it here starting with Adafruit’s Low-profile microSD card adapter for Raspberry Pi. It is a very low cost , high-tech adapter – enabling the use of Micro-SD cards – for good or for bad. The build quality as with most things Adafruit is very good and the Micro SD card inserts into the adapter with a very well engineered and satisfying click. At about £6 ($5.95 from the US) it is a very well priced accessory. The Build Quality of the Adafruit adapter is great, very well engineered. PiBow Ninja case clearly shows a 1 mm gap between the 2 bottom sections, also you can not reach the Micro SD. This could be modified if you’re handy with needle files & wet/dry abrasive paper just remember Acrylic cracks very easily. Pimoroni also offers replacement PiBow bottom layers to fit the MicroSD card Adapter at a measly £2. Clear Element14 case will not shut as Adapter / Micro SD rubs on bottom lip, this could be modified to work a lot easier – with a bit of filing and sanding on the bottom lip. So would I recommend the Adafruit Adapter ?? Yes absolutely albeit a bit to chunky – if you are NOT protecting your RaspberryPi with a standard fit case or enclosure and you mainly deal with Micro SD cards. 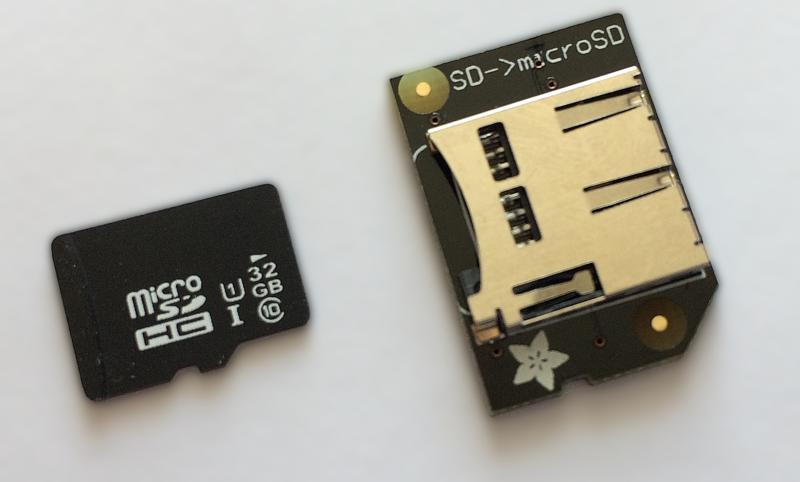 For those of you looking to pimp your Pi I would probably look at something like the Shortening microSD adapter for Raspberry Pi – again from Adafruit or ThePiHut with a lower thickness profile. As already mentioned replacement bottom layers are available for all PiBow cases. Please share you’re own experiences, leave comments below if your have come across different solutions. Posted by jarjartee on July 7, 2014 in RaspberryPI. How to set up a PiTFT 2.8″ touchscreen ! 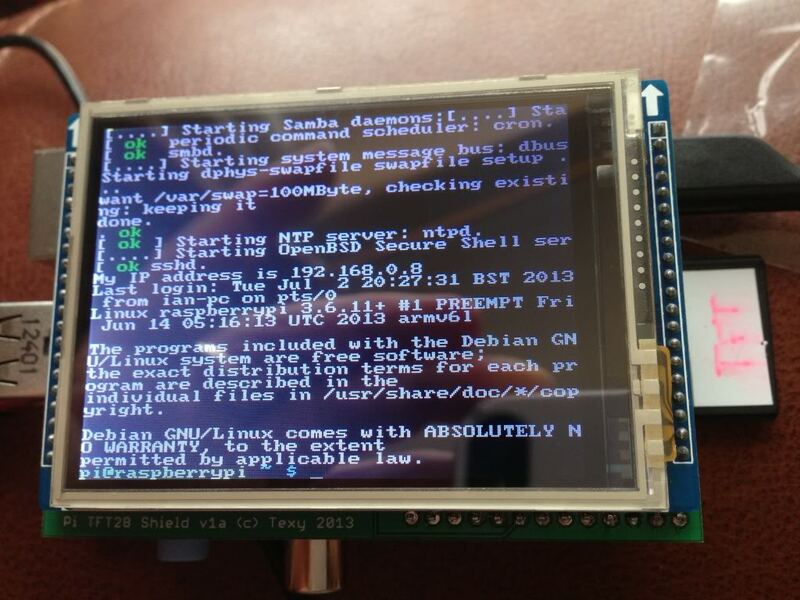 Tadaaa, you have a mini touchscreen Raspberry PI – Well Done !! There are a number of things we should do to make the PiTFT easier to handle and control – after all there’s only so much we can do with a 2.8″ screen , touchscreen or not. We have here soldered on the optional 4 buttons enabling us to control Shutdown and Screen Brightness easier without having to delve in to the GUI. We should also setup a Wifi Dongle – this makes the PiTFT a truly portable device combined with a High Capacity Powerpack / Battery. This will allow us to modify the GPIO configuration at startup, what we want is to assign Pin23 to the first button for startup/shut down; modify and uncomment EXACTLY as shown below (ignore backlight for now). 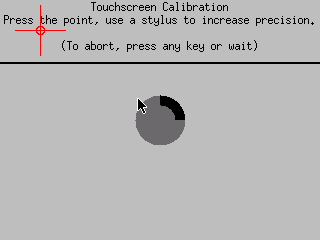 Test your button once again after shutdown – your Pi will now start boot up . Posted by jarjartee on June 13, 2014 in RaspberryPI. Pi at the Palace !! 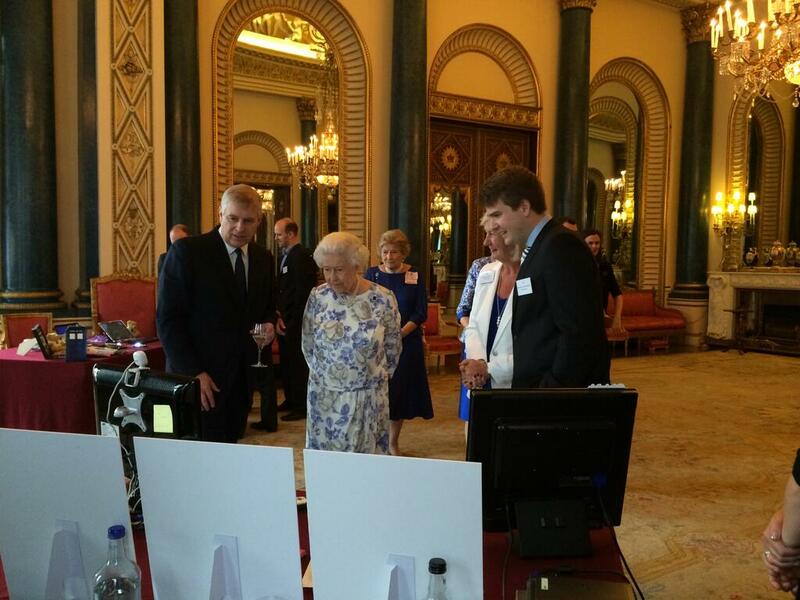 Wohooo – the Raspberry Pi team made it to the Palace yesterday showcasing the best of of Pi to HRH Queen and the Duke of York. You will spot Eben Upton in the pic somewhere, Liz Upton & co was also present given the opportunity of presenting the technology amongst other ‘Digital Entrepreneurs’ at the Palace: Full story from the Guardian here and the Duke of York’s website here. Posted by jarjartee on June 10, 2014 in RaspberryPI. A very exciting and affordable Kickstarter !! 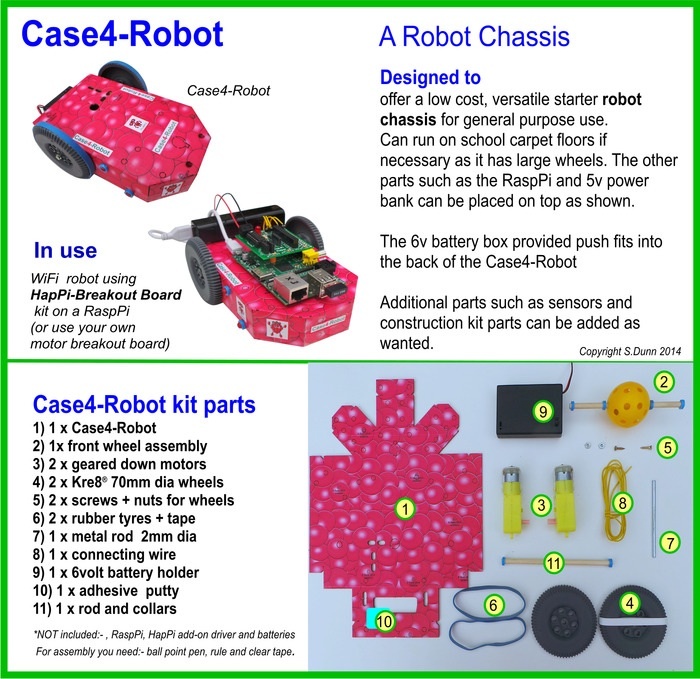 The very exciting supplier of all things Robots & Pi’s have launched a Kickstarter for a very low cost ‘flat pack’ Case and a Robot Kit for the Raspberry Pi. The Little British Robot Company specialises in some very exciting educational robot kits suitable for Arduino and Raspberry alike. Check out their DIY robotic kits on Kickstarter , you can support them for as little a £1. 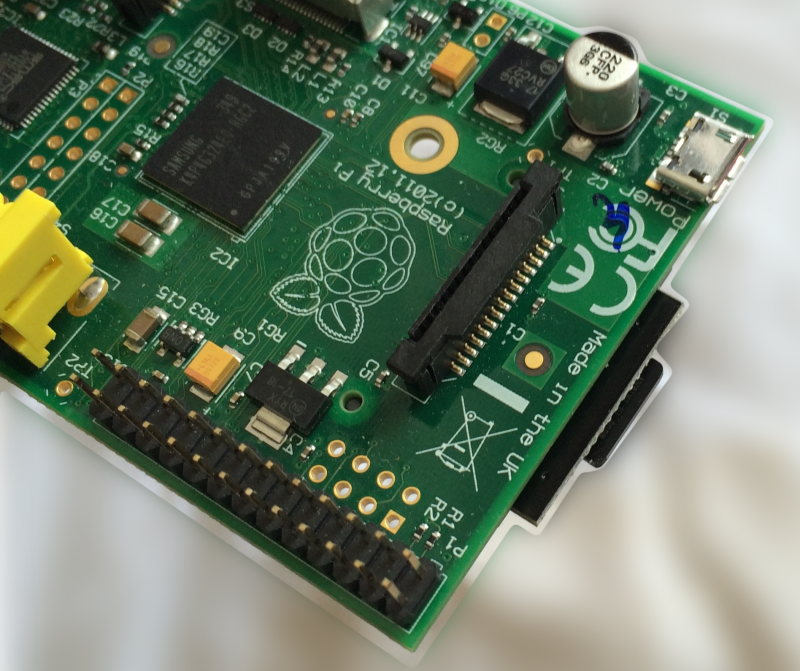 Posted by jarjartee on June 2, 2014 in RaspberryPI and tagged kickstarter, raspberry pi, Robots. 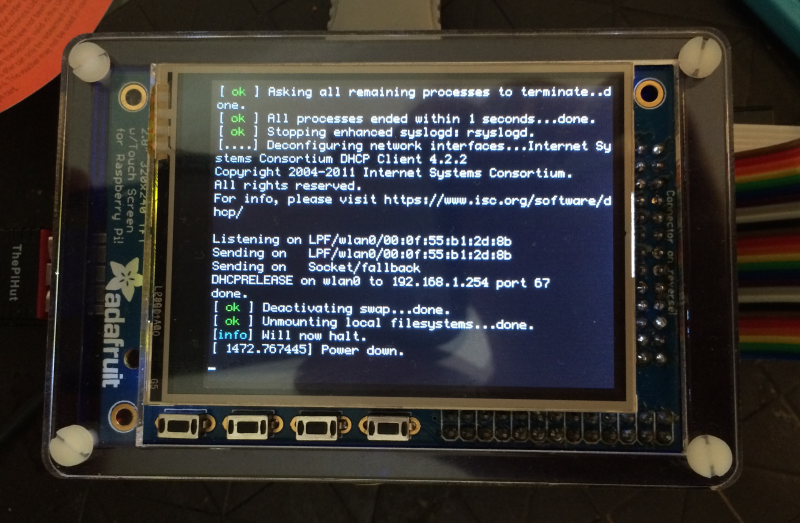 Running Raspberry Pi on a network ! Ever wondered about setting up a networked suite of Raspberry Pi’s ?? Having pupils logging on to individual accounts and saving their work to a server sounds like a dream come true. It could amount to a mammoth task at first in terms of battling with reams of code and yards and yards and yards of ethernet cables to the uninitiated. Well – fear not as Andrew Mulholland has detailed the method on his excellent blog , taking the voodoo out of the setup. Sure it involves a bit of effort and some support from your IT techies, but once setup very easy to maintain. It will enable you to run a class or a workshop with a class set of RaspberryPi’s without the nightmare distribution/collection/loss of SD cards, furthermore collecting and sampling work is relatively pain free. This is very impressive work and a very important development, particularly for schools and colleges using the RaspberryPi on a day to day basis. 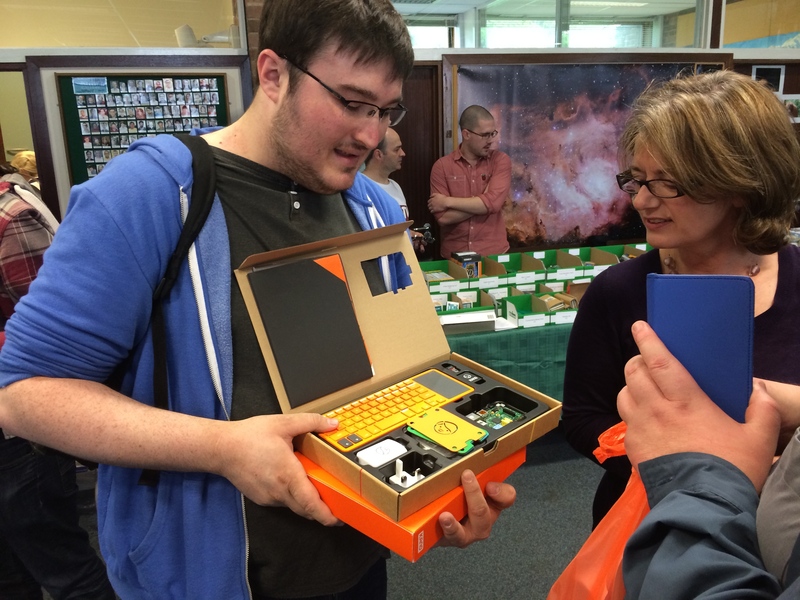 Posted by jarjartee on May 30, 2014 in RaspberryPI and tagged curriculum, IT, network, RaspberryPi. This is a program worth watching and showing in schools and a classic Horizon in depth program. It details the development of the ‘integrated circuit’ also popularily known as the ‘computer chip’ – starting from the valve transistor through the solid state transistor and up to modern day IC’s. The program also looks into the socio economic impact of the developments in modern day computing from the redundancy of the typewriter to surge in computerised shopping terminals. Horizon has here produced a program with great insight and raised a few topics for in-depth discussion in schools. Posted by jarjartee on May 27, 2014 in RaspberryPI and tagged computer chip, computers, computing, curriculum, integrated circuits. Raspberry Pi around the world ! If there is any doubt about the Raspberry Pi creating opportunities around the world look no further. 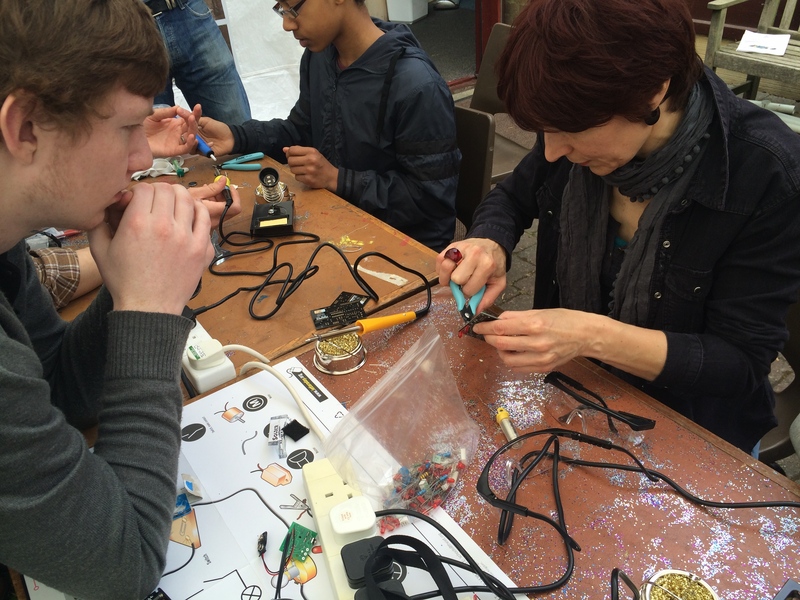 Apart from Raspberry Jam’s all over UK to low cost IT Suites in Cameroon (thanks to the Raspberry Pi Foundation), rapidly growing community in Germany (site in German language only) to the massive Maker Faire, Bay Area – San Francisco , the ‘Pi’ is here to stay. 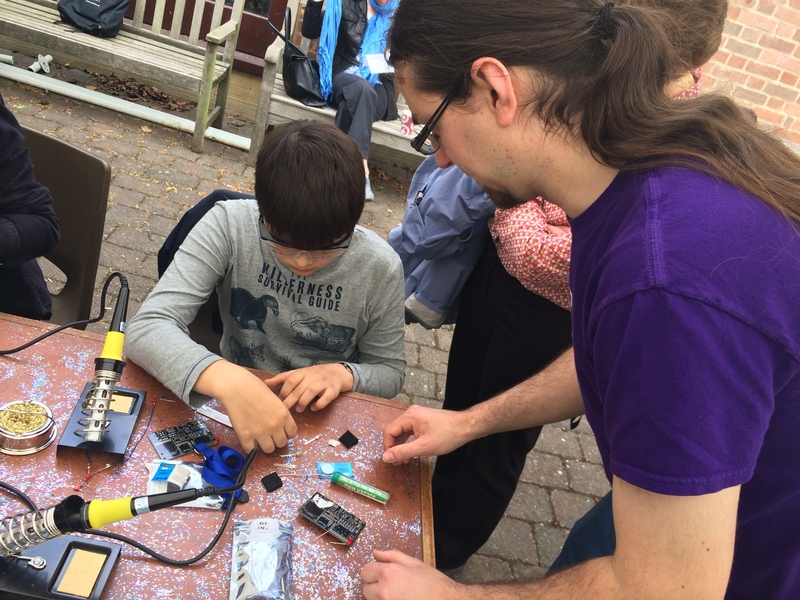 The creativity shown through a breadth of projects ranging from Educational Projects such as Sonic Pi , Voice/Braille converter for visually impaired and building and coding RC-Cars from scratch in Norway. I feel privileged to be a part of this vibrant and diverse community and will hopefully be able to pass on my enthusiasm in my posts and blogs. 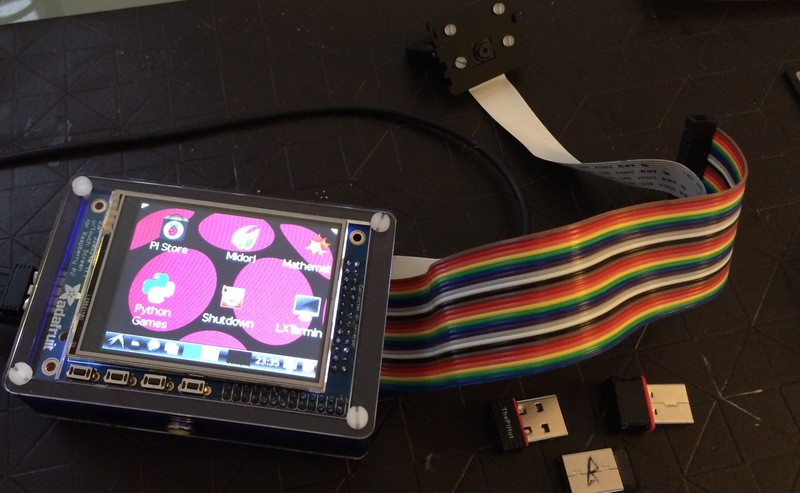 Posted by jarjartee on May 26, 2014 in RaspberryPI and tagged code, programming, RaspberryPi. Are you you a Primary or Secondary School Teacher ? Don’t know what to do with a bunch of RaspberryPi’s stuck in a cupboard ? Well – Carrie Ann Philbin is leading the Rasberry Pi Academy giving teachers & educators a brilliant head start in the use of a RaspberryPi computer. The next 2 sessions are on 16th–17th June and 14th–15th July. If you would like to take part in either of these, then please fill out the application form by May 30. 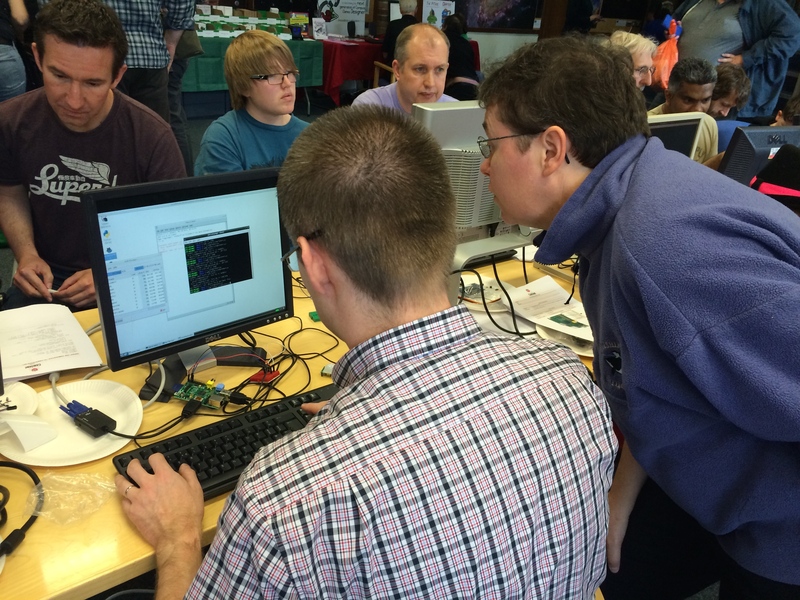 The first sessions in April where hugely oversubscribed and needless to say very successful , if you did NOT get a place on these first PiCademy sessions you should now reapply. Posted by jarjartee on May 26, 2014 in RaspberryPI and tagged code, curriculum, ICT, KS2, KS3, PiCademy, programming, RaspberryPi. 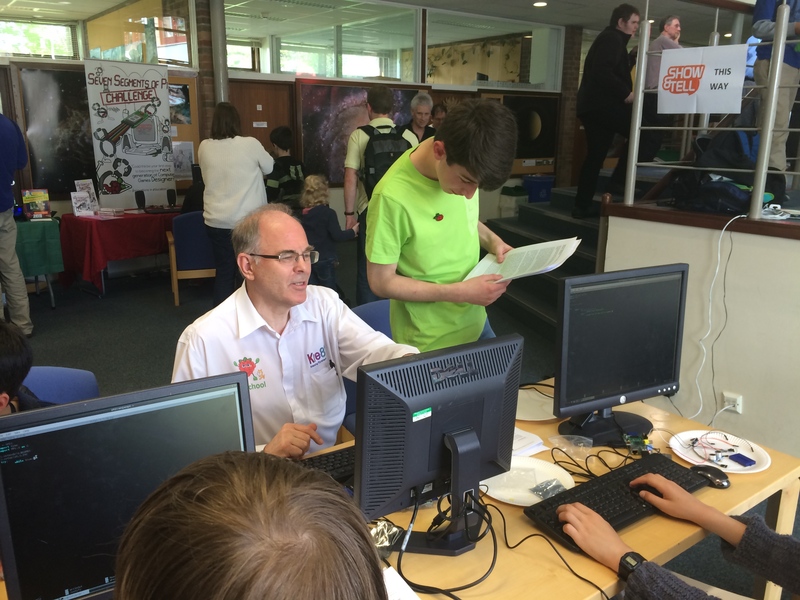 On the 10th May we saw another Raspberry Pi Jamboree launched, and I think it is fair to say it was the most eventful Jam to date in terms of activities and workshops. Brilliantly organised by Michael and Tim – and very well facilitated by the Institute of Astronomy at Cambridge, thanks to Andy Batey . or the RaspberryPi foundation here. This was a hugely successful family event, everybody involved. a great keyboard, very desirable package. 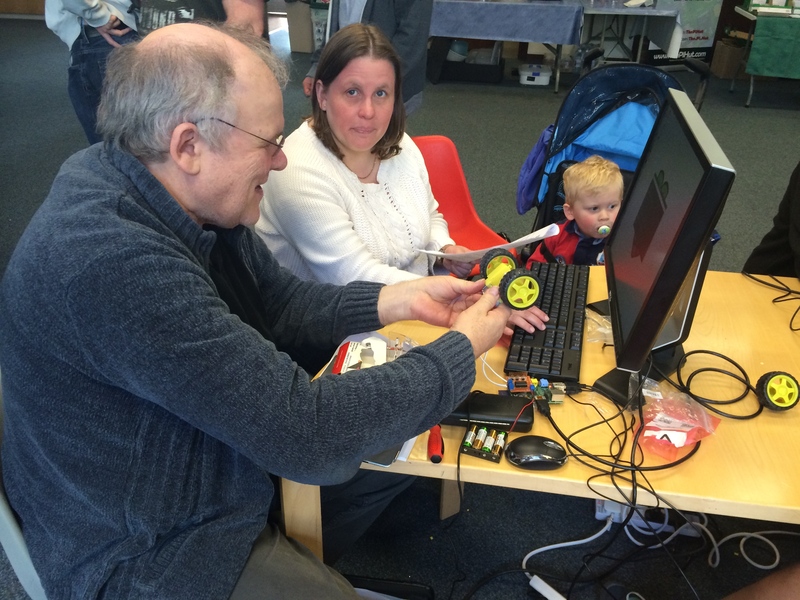 Matt Manning getting 2 young ‘Raspbians’ involved in a sensor workshop. we all went through a fair bit of ‘lead-free’ this Saturday. Clare MacRae leading the temperature / motion sensor workshop. Zach is already leading workshops at the age of 14 and is a brilliant software engineer in the making. Zach is here taking Stewart Dunn from Kre8 through the line sensor workshop. 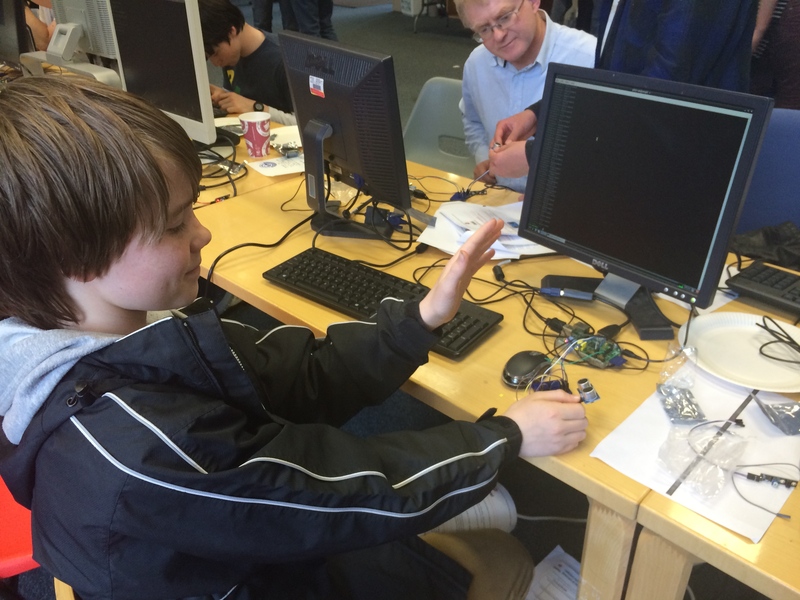 This Young ‘Raspbian’ obviously pleased as punch with his sensor project working. 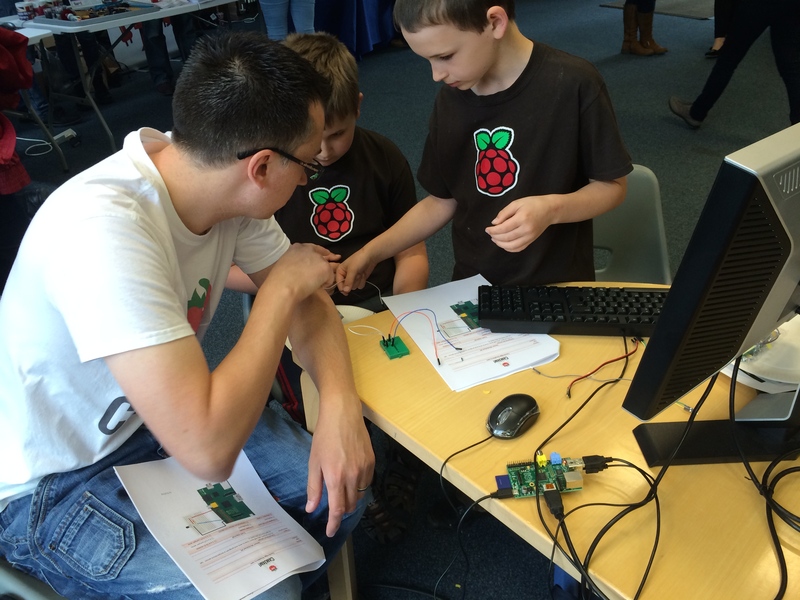 Posted by jarjartee on May 21, 2014 in Code, RaspberryPI and tagged code, ICT, KS2, KS3, programming, RaspberryPi. Well folks it’s taken some time for me to get my act together – as you might have guessed this blog will in th main be dedicated to RaspberryPi and coding. Expect to see tutorials , how-to’s and reviews of hardware and software – in the main to do with the ubiquitous RaspberryPi – but also some Arduino and strange peripherals. Posted by jarjartee on June 13, 2012 in Uncategorized.